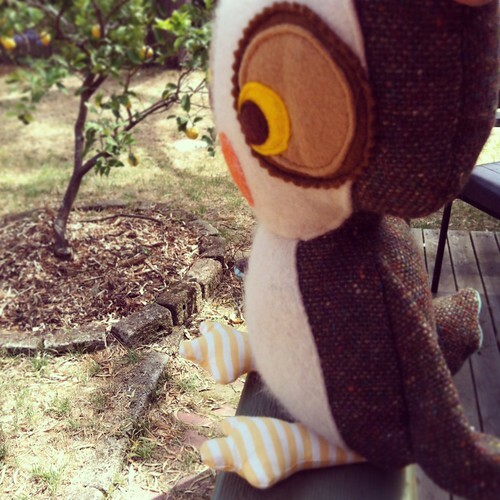 I have a feeling that 2013 might be the year of the soft toy! I finished Monkey just in time for Christmas (I know that’s technically last year, but really.. it still feels like Christmas was just “sometime earlier this month”!) and then just last weekend was the first birthday of a very special little boy, so of course any excuse will do to make another softie! 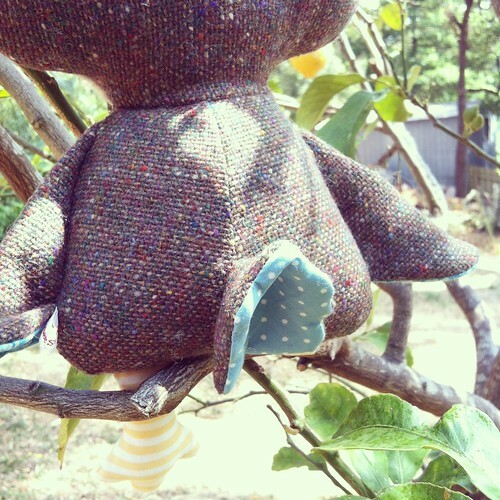 This little guy was made from a rescued tweed skirt with an impossibly small waist (seriously! It was about a size -6! ), felt eyes, and a super squishy soft angora belly and face. I’ll be sad to use up the rest of that cream jumper, because it’s just the softest! 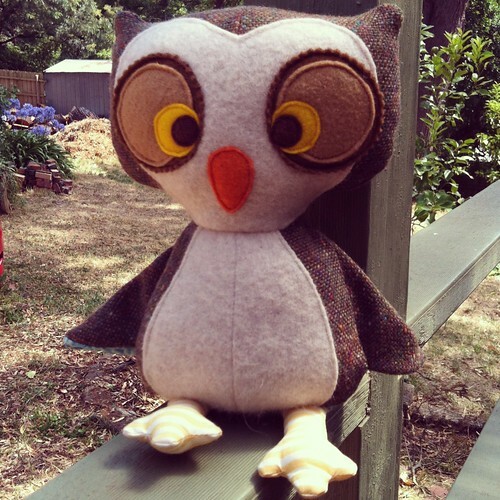 I think my favourite thing about this little owl is definitely the feet. Stripey feet are the cutest! They remind me of old fashioned stocking socks. I’m also pretty fond of the eyes too, although it wasn’t always this way! Another thing I want to work on in 2013 is to show more of my process, instead of just finished projects (I also want to blog more so that you can actually SEE finished projects!) I do post a lot of my WIP progress on Instagram, so if you’re an Instagram user (hands up all addicts out there! It’s ok to admit it – I check it in bed when I wake up, and before I go to bed. I check it when I’m on my lunch break, and I may have been guilty of checking it on toilet breaks too, ssh!) please feel free to add me! My username is the same as my blog: TwoCheesePlease. 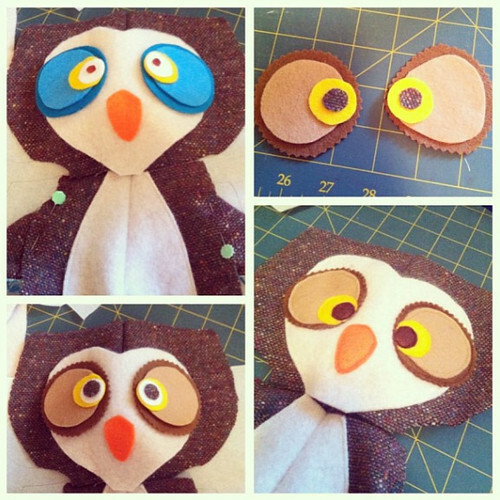 For those who don’t have Instagram, here is a little collage of different owl eyes that didn’t work. I think I’d like to call these guys “Jumper Buddies”. ‘Jumper’ is the Australian word for ‘sweater’, and I’ve made all of these softies so far using reclaimed and recycled clothing from op shops (‘thrift stores’!) that I’ve laundered and felted in my washing machine at home. I like “Sweater Buddies” too, but I think I should stay with the Aussie word – yes? You can get some fantastic woollen jumpers from the op shop in gorgeous mixes of wools (angora, rabbit, cashmere, oh my!) and they just make the cuddliest toys. And a welcome side benefit – because the ‘fabric’ has been through the wash a few times to felt it up as much as possible, you can just chuck these guys in the washing machine when they get grubby and you know they’re not going to shrink anymore! 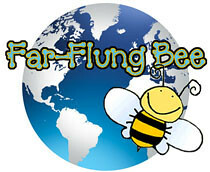 Totally wash-safe – how great can you get for little pals who sometimes go on grubby adventures!